SMT-TL50 SMT Splice Tool is a heavy duty SMT splicing tool. 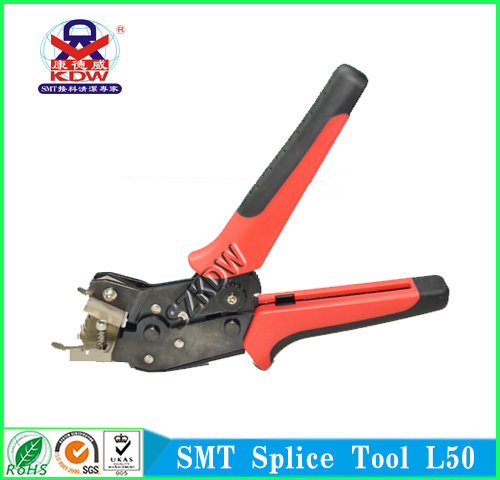 A flat small splicing tool for SMT Machine use applicable to various SMD tapes. This scissor is use with single copper buckle. SMT-TL50 is made by KDW. KDW is a well known producer of SMT splice products. Looking for ideal Heavy Duty SMT Splicing Tool Manufacturer & supplier ? We have a wide selection at great prices to help you get creative. All the Splicing Tool for SMT Machine Use are quality guaranteed. We are China Origin Factory of SMT Splicing Tool. If you have any question, please feel free to contact us.